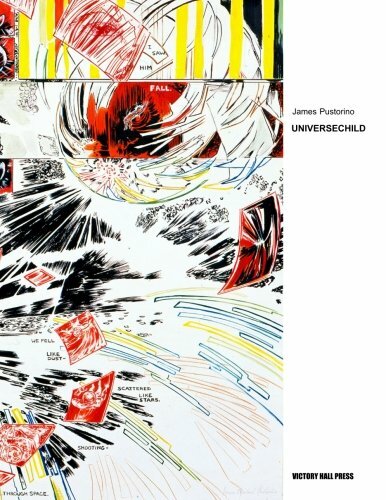 James Pustorino is an artist, curator, and arts organizer, and is Director of Victory Hall DRAWING ROOMS, a twenty-room art-space in Jersey City exhibiting artists from the NY/NJ area. As Executive Director of Victory Hall Inc. a Jersey City based non-profit arts organization, he has published books of artists' works and produced exhibitions and public art projects in Jersey City and lower Manhattan as well as directing projects for students and classes for developmentally disabled artists. Pustorino received his BFA from Carnegie-Mellon University in 1983 and has been involved in developing and teaching art educational programs throughout his career. He began organizing large-scale exhibitions in Pittsburgh, involving over 50 artists in public spaces and small museums in the 1990s. From 2001 through 2007, he developed and directed Victory Hall as a community arts center in Jersey City providing arts and martial arts classes, music, dance, and film events, theater and art exhibitions. In 2012, Pustorino worked with the staff and board of Victory Hall Inc. to renovate an unused convent building in the Paulus Hook area of Jersey City and launched Drawing Rooms as an arts center in October of that year. The building suffered damage by Hurricane Sandy two weeks after its initial opening and after more work was finally re-opened in May 2013 with consistent exhibition programming. Pustorino has exhibited in venues throughout the U.S., including the Columbus Museum, The Butler Institute of American Art, and the Jersey City Museum, and has had solo exhibitions at Chambers 916 Gallery in Portland, OR and has most recently shown work at Odetta Gallery in Brooklyn, NY. His artwork uses graphic, abstract and realistic form to explore concepts of narrative and spatial/structural composition.